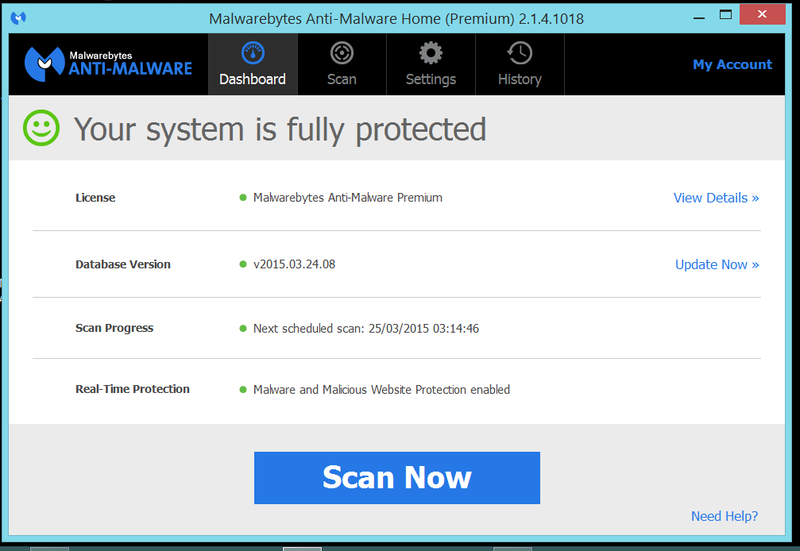 It was a few weeks ago that I decided to install the full version of Malwarebytes. Brilliant software. You know when you feel you could do with a bit more protection than you’ve got? Well, when you do a lot of stuff on the Internet, it’s not always that anti virus software can pick everything up. So give things a boost by installing Malwarebytes and see it perform a real tune-up. Your computer will appreciate it, and so will you. This software helps to give real peace of mind. I love it, and wouldn’t be without it. This entry was posted in Windows 8.1 and tagged Downloads, Malwarebytes, Software. Bookmark the permalink.